?? Have a look at the new interior at Phantom Manor, opening soon in Disneyland Paris. This is an interview with Imagineer Tom Fitzgerald. ?? Every fan are waiting for it. And while we can’t reveal the exact reopening date just yet, we’re also counting the days until Phantom Manor opens its gates to guests again in Spring 2019. In the meantime, we sat down with Tom Fitzgerald, Portofolio Creative Executive at Walt Disney Imagineering, who is overseeing the large refurbishment, for a quick update. Phantom Manor is a beloved attraction for many, can you tell us about what it means personally to you? As a child, Halloween was always my favorite holiday. I’d build haunted walk-throughs in the basement of my house (I had very tolerant parents) to scare friends and neighbors each year! So, you can imagine my excitement when Walt Disney announced on television plans to build “The Haunted Mansion” at Disneyland! The year the attraction opened, my family flew out to California to visit Disneyland. My first “tour” of Haunted Mansion exceeded all expectations, and the attraction instantly became my favorite. I’ve loved every iteration of this attraction around the world, including Phantom Manor here at Disneyland Paris. What excites you the most about the upcoming reopening? As we began the process of renovations for the major attractions of Disneyland Paris, we couldn’t wait to get started on Phantom Manor. With all of the “Illusioneering” we’d done for the domestic Haunted Mansion attractions, and the magical technologies we’ve invented since Disneyland Paris began, we had lots of options to explore! As you teased early this summer, some new magic is coming to this attraction in addition to a global refurbishment: can you give us a glimpse of what we can expect? Phantom Manor’s story has always been shrouded in mystery. 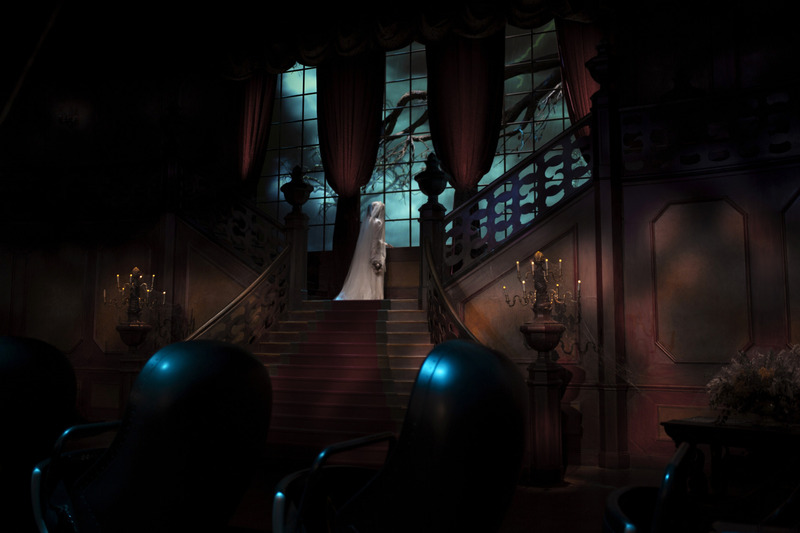 This renovation gave us a chance to revisit the storytelling of the attraction, and to answer some of the questions that guests have been asking over the years: Who is the Phantom? Who is the bride? What happened years ago that led to all of this? When Phantom Manor re-opens its doors soon, many of the mysteries will at last be revealed. And not just revealed… these mysteries will actually unfold before your eyes through some of our new illusions! Now you really got us teased! Any last word? 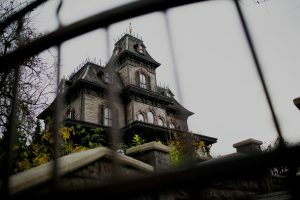 We know fans have been anxious for Phantom Manor to return, and “we’ve been dying” for everyone to see what we’ve been up inside this beloved attraction. A big thank you to Tom for seating with us during the ongoing works. We look forward to share more reveals closer to the reopening. So stay tuned !